Claim Your Maximum Refund For 2018 Taxes! Home » Uncategorized » The Holidays are Coming and so is the Gift Tax! The Holidays are Coming and so is the Gift Tax! We all know that we can’t write off a designer bag or a watch that we’ve bought for ourselves. On the other hand, let’s say you want to surprise someone with a brand new first car for the holidays. If you didn’t know, the IRS establishes an limited amount until you have to file a tax return, just for the gift you’re planning on giving! Here’s what you need to look out for when you’re going all out for the holidays. First off, what is the federal gift tax? The federal gift tax applies to the transfer of money or property to an individual while receiving less than the full value in return or nothing at all. There is a gift tax exclusion (subject to inflation per tax year) which sets a limit of how much in value they can gift per person before having file Form 709 to the IRS. Here are the gift tax exclusion amounts from tax years 2002 to 2018. The amounts apply to each person. For example, in 2018, you can gift up to $15,000 to one person and another $15,000 to another person. Be advised that spouses are required to file separate forms even if they purchase the gift together as well as splitting the gift. When do you actually pay the “gift tax”? There’s a threshold set for the maximum amount of a gift called the “lifetime gift exclusion limit.” Every time you have an excess of $15,000, it will apply to your lifetime gift exclusion limit until it runs out. As of 2018, you do not pay gift tax until you’ve given away $11.2 million in your lifetime. The gift tax rate goes up to 40%. Prior to this year, in 2017, the limit was $5.49 million. You can exceed the $15,000 gift tax exclusion and you still won’t need to pay any taxes. All the IRS cares about is that you file Form 709 reporting the excess of your gift amount. For example, if you give your son $60,000 for a starter amount towards a down-payment when he’s ready to buy a house. The first $15,000 of that amount is tax-free, leaving you in excess of $45,000 towards your lifetime gift exclusion limit. However, you have to file a gift tax return since you have an excess of the annual gift tax exclusion. If the donor passes away, the donor’s executor is responsible for filing Form 709. Circumstances that exclude the gift tax. Gifts to a political organization for its use. Gifts less than the annual gift tax exclusion for the specific tax year. You pay off someone’s medical or educational expenses. Gifts made as charitable donations since they are deductible on your federal tax return. For nonresident spouses, you must file a gift tax return if you gave gifts of future interests, you gave gifts of present interests to another person excluding your spouse over $15,000. You must also file gift tax return if you’re a citizen and your outright gifts to your nonresident spouse is over $152,000. It is possible to avoid a hefty gift tax. Let’s look at a situation in three different ways. Scenario 1: You can plan on gifting $60,000 to your son at different times. You can give $15,000 to your son in December 2018, $15,000 in January 2019, and so on which would take four years. Scenario 2: If you have a spouse, you could both gift $15,000 towards your son, which amounts up to $30,000 following the same time frame from scenario one. The excess $30,000 can be gifted next year between both of you once more. Scenario 3: Both you and your spouse could gift the total of $60,000 together, if your son has a spouse. Both you and spouse can each gift $15,000 to both your son and son’s spouse. Therefore, $15,000 x 4 = $60,000 which would finish the down-payment gift quickly and efficiently without you having to pay any taxes. As you can see, in all of these situations, you will not be paying any taxes at all. Now, you’re ready for the holidays. Keep this information in mind when you’re being generous with your presents. Don’t forget to check RapidTax in the beginning of January to start your 2018 tax return! If you forgot to file any tax returns, you can file all the way back from 2005 to 2017! 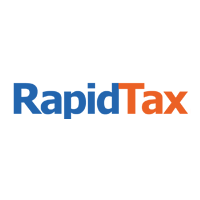 Click the “Why Rapidtax?” button for your tax questions! Next PostNext Check out our updated website!